The Senate Judiciary Committee has reportedly offered to interview Christine Blasey Ford in California, her home state, about her accusation against Supreme Court nominee Brett Kavanaugh. 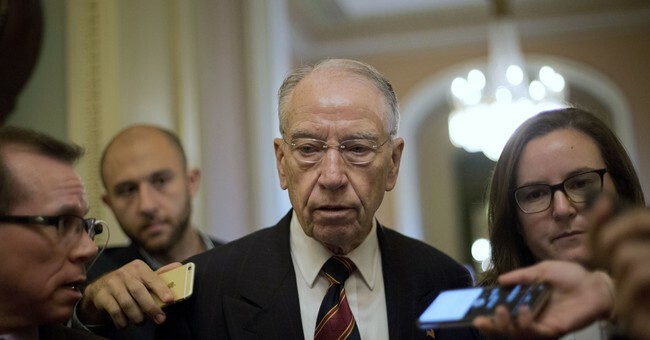 NEWS: Chairman Grassley is willing to send committee staff to dr. ford in California if that is what she prefers, @ChuckGrassley aide says. Chairman Chuck Grassley said they want her to feel "comfortable" telling her story. Ford's lawyers complained about the setup of Monday's hearing in a letter to Grassley, charging that he was going to make her sit at the same table with Kavanaugh and that many Republican senators had already made up their mind about her. Grassley's team refuted those claims and said Monday's hearing would proceed as planned. Nearly everyone, including President Trump, has noted that Ford deserves to be heard.